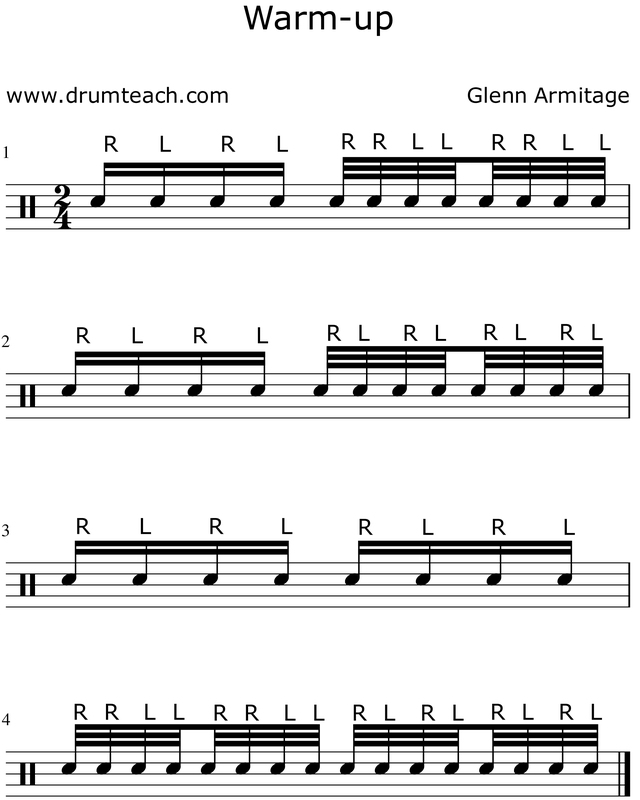 Using your left hand and right foot, work through the pattern slowly. 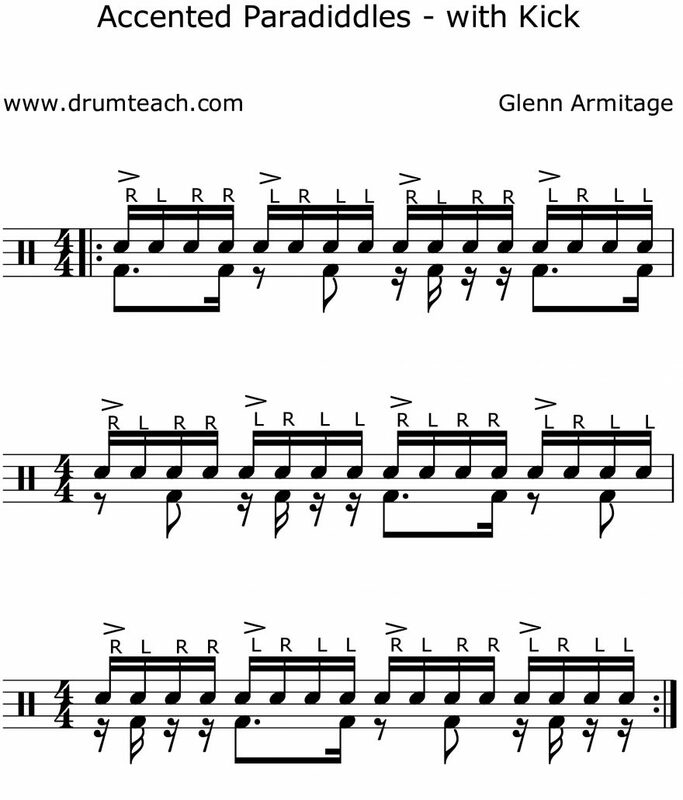 Once you’re comfortable with the pattern, introduce the right hand (using hi-hat or ride). Click here to open and print pdf. This one is tricky. Start slowly without accents. Once you’re comfortable with the pattern, bring in the accents. Have fun!